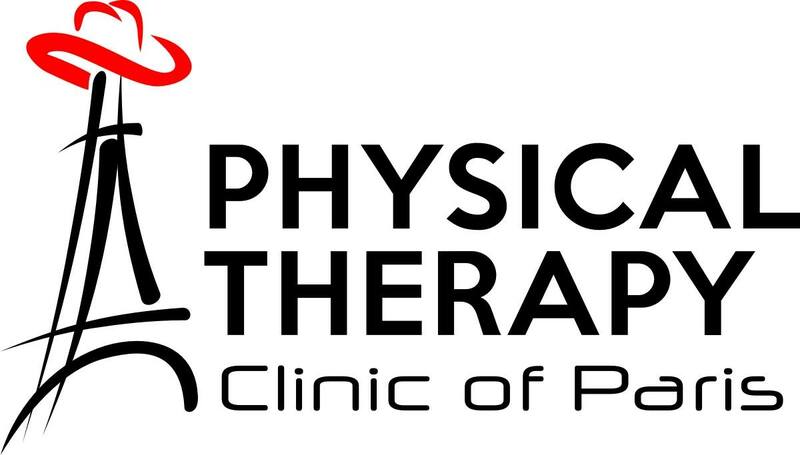 PTCOP physical therapists work closely with your physicians to determine the best type of treatment based on your specific type of arthritis and your goals. Treatment can include multiple interventions such as therapeutic exercises, functional task training, manual therapy, aquatic therapy, gait training, and many more options. Aquatic therapy is a treatment venue that allows for better tolerance to exercise and general movement than in traditional, land-based treatment venues. The properties of water help to reduce stress on the joints and soft tissue structures of the body. This reduction in stress on the body allows for greater freedom of movement as well as leads to improvement of initiating ROM and strengthening activities that would be much more difficult out of the water. Additionally, the buoyancy of water accommodates for consistent resistance to help with the restoration of normal walking, strength, and movement patterns. At PTCOP, we have two specially trained therapists who treat patients with multiple medical conditions in our aquatic therapy program. Whether you are dealing with low back pain, neck pain, arthritis, muscle strains, general weakness, or potentially any other muscular or neurological system condition, aquatic therapy may be right for you. Low back pain is one of the most common conditions for which patients seek physical therapy. Emerging research is showing that low back pain is NOT a condition that can be treated the same for each patient. To best treat low back pain, research shows that classifying patients into groups based on their symptoms and clinical findings in the examination is the best predictor of improvement with treatment. PTCOP physical therapists use an integrated approach of mechanical movement patterns and manual therapy to classify clinical symptoms to find the best, individualized treatment program. Our approach includes The McKenzie Method® of Mechanical Diagnosis and Therapy® (MDT) as well as other forms of manual therapy assessment. Based on the patient’s response to the assessment, a treatment program is developed. The initial phase of the treatment program is 100% patient-driven with instruction and feedback from the therapist. Depending on the amount of improvement, the program is progressed with the implementation of manual therapy treatments as needed. This method has proven to be very successful at not only improving patient outcomes but also to reduce the overall costs of medical care related to low back pain. The key to overcoming low back pain is being properly assessed and then directed into the correct path of treatment. The Physical Therapy Clinic of Paris is a Licensed WorkSTEPS Provider. WorkSTEPS is the leading provider of functional employment testing in the nation. Services of this system provided through PTCOP include Job Analyses, Post-Offer Comprehensive Testing, Fit-For-Duty Testing, and Functional Capacity Evaluations. Every employment decision poses potential risks, and WorkSTEPS was developed to create a medically safe, legally compliant, scientific, and objective means of matching a worker’s functional capabilities with the essential functions of the job. Employers utilizing this system are experiencing a 50% reduction of work injuries in the first year of implementation with continued reductions in the second and third years. Post-Offer Comprehensive Testing is a 1.5-hour test. Medical questions and several medical tests are included to objectively quantify pre-existing conditions and cumulative traumas to determine their effect upon “significant and impending” risk as it relates to the position in question. Post-Employment Fit-For-Duty Testing is a 1.0-hour test administered to existing employees under several circumstances specifically addressed in the Technical Assistance Manual. The Test may be administered on a voluntary basis, at specific intervals scheduled by the employer, or on an individual basis if the employee demonstrates “evidence of problems related to the job performance of safety” (TAM V1-12). The test is used to classify employees according to risk and then implement prevention strategies to lower susceptibility to injury. Work conditioning, accommodations, and other options are made available to the employer-based up results. The FCE is a medical test to measure an employee’s function post-injury. The WorkSTEPS FCE is designed to follow the same pre-injury test protocols of the employment test to compare baseline data, document existing impairments, prove consistency, and create realistic objective treatment goals and return to work recommendations. The WorkSTEPS FCE is also automated and includes criteria to evaluate symptom magnification, inappropriate illness behavior, and validity of performance. PTCOP also offers work conditioning for employees working toward return to work after an injury. After completing standard physical therapy care, patients looking to return to work will usually transition to this program to help with tolerance to normal work activities. The program is designed to incorporate work related activities as well as general activity tolerance activities to improve tolerance toward return to normal job duties. Manual therapy is a sub-specialty of orthopedic physical therapy that focuses on skilled and specific “hands-on” treatment of many orthopedic conditions. These treatment techniques include, but are not limited to, joint mobilization/manipulation, soft tissue mobilization, trigger point therapy, muscle energy, dry needling, and many other forms. Emerging research is demonstrating that a multi-component program integrating manual therapy, exercise, and other forms of physical therapy treatment is superior to programs that only include one form of treatment. At the Physical Therapy Clinic of Paris, we have many clinicians with specialty training in different manual therapy techniques including advanced fellowship training. While there are many avenues to train in the manual therapy sub-specialty field, the organization that governs most of these programs is the American Academy of Orthopedic Manual Physical Therapists. Recognition as an expert clinician in manual therapy is achieved through fellowship training. All clinicians who complete fellowship training are then recognized as Fellows of the American Academy of Orthopedic Manual Physical Therapists (FAAOMPT). Neck pain and headaches are common conditions seen in physical therapy clinics. They can be very debilitating when they affect normal life activities as well as work production. While there are multiple types of headaches, it is important to remember that most headaches are related to non-serious conditions that can be treated effectively when they are recognized correctly. As with low back pain, neck pain cannot be treated the same for each patient. The important factor in starting a treatment plan for neck pain and headaches is to perform a competent, thorough assessment. PTCOP physical therapists use an integrative system of assessment using The McKenzie Method® of Mechanical Diagnosis and Therapy® (MDT) and other forms of manual therapy treatment as needed. This integrative approach of exercise and manual therapy has been shown by research to be superior to just one treatment regime alone. Again, the key is to be assessed correctly. The assessment will direct the course of treatment. The Physical Therapy Clinic of Paris has a long-standing history of caring for the citizens of our community, and we embrace the privilege to help you with any needs you may have. The above list is by no means comprehensive; so if you have any potential issues where physical therapy may assist, please feel free to contact us. This list is completely limited to the most common procedures seen in the clinic. Feel free to give us a call and we would be happy to explain how physical therapy can help you after your surgery. The Physical Therapy Clinic of Paris is staffed and equipped to assist with recovery from a multitude of sports-related injuries. Whether you are a student-athlete, college athlete, or recreational athlete, we are ready to provide the best rehabilitative services to meet your individual needs. Our services include both preventative programs as well as post-injury programs. PTCOP physical therapists work closely with physicians to develop the most individualized and comprehensive treatment programs to help you return to full form again. PTCOP physical therapists have a long-standing relationship with a majority of the school districts in our area. For years, our therapists have assisted with game time sports medicine coverage to ensure our local school athletes are safe. PTCOP has also worked with Paris Junior College for a multitude of years to provide the best sports medicine coverage for our Dragons!